Primary education has been extended up to class VII from today. The decision was taken in the meeting of National Education Policy earlier today. Education Minister Nurul Islam Nahid and Primary and Mass Education Minister Mostafizur Rahman have informed it to the press after the meeting. 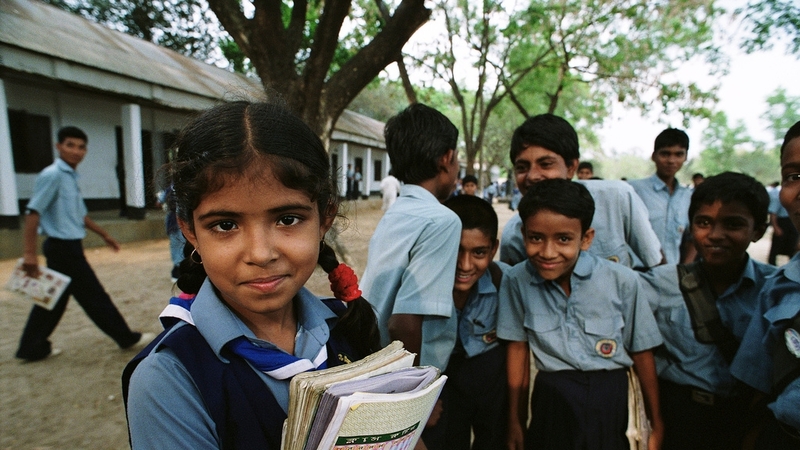 Girl leaves school at the end of the day, Mauchak Scout High School. In 2009, The National Education Policy Formulation Committee recommended to extend the primary education level to class VIII and to extend higher education level to class XII. In response of this policy, Govt. has finalized its decision to extend primary education level up to class VIII. From now on, all the decision regarding class VI,VII and VIII will be the matter of primary and Mass Education Ministry.